Writer Esther Polianowsky Salaman once said, “There is a necessity to preserve, to recapture, the sacred and precious memories of childhood. After all, we are all exiles from our past, and as such, we need to recapture it.” See You in Iran attempted to recapture those exact moments through a cultural exchange event that focused on the sharing of children’s stories between local Iranian elementary school students and foreign guests at our hostel. 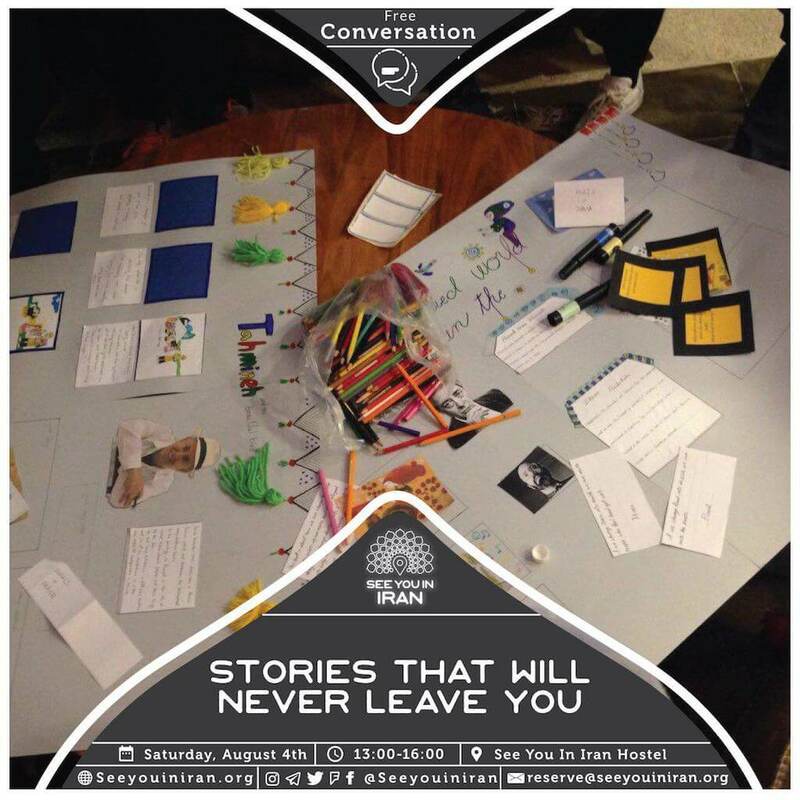 In collaboration with an English-language camp associated with a local Tehran school our See You in Iran Hostel hosted a workshop called “Stories Never Quite Leave You” with a group of 9-13-year-old girls. In it both students and guests used creative methods for presenting childhood stories from own respective cultures, familiarized one another with authors and illustrators from different countries and finally discussed parallel themes in the childhood stories various children’s stories mentioned.